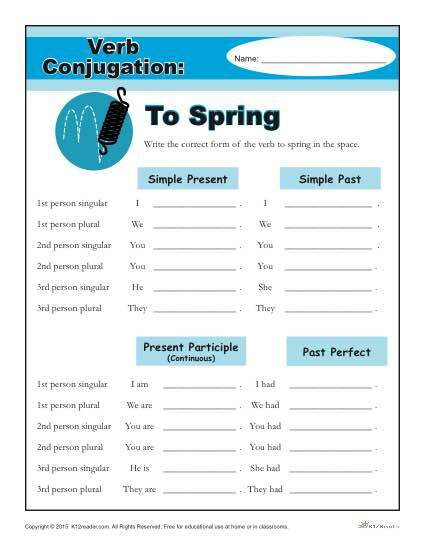 This verb conjugation worksheet helps student learn the proper ways to use the verb “To Spring”. The activity includes conjugation for simple present, simple past, present participle, and past perfect. The activity includes singluar, plural and 1st, 2nd and 3rd person. For example, “I spring”, “We sprung”, “We are springing” and “I had sprung”.